It’s that time of year again! For some, it’s a time of year to focus on what they might get, but the true spirit of the season is in focusing on what you can give. The key to a heart set on generosity is in having a heart well acquainted with thankfulness. Being thankful, even in just a simple “thank you” in response to a kindness shown towards you, is intimately connected with positivity. While the Thanksgiving holiday is a great reminder of what we should be focusing on, the truth is that we should be just as grateful every day of the year. But how do you do that? Well, here are a few tips! -Start small: When things hit hard, they jostle your perspective. You could start the day happy and joyful, but then the harsh realities of life become a bit too hard to handle, and your mood sinks. Gratefulness is the ballast that will keep you afloat in a storm, and you’re building a foundation for yourself every day. But strong foundations aren’t built in a day, it’s a process that takes time - and it all starts with a simple thank you. Starting small and reaching out in kindness and gratitude towards others, even when you desperately don’t want to, will be your anchor in the storm. Start small, and you’ll reap the rewards later! -Stay present: If you’re anything like the rest of us, you’ve gone through a time where the future just wasn’t too bright. Everyone goes through times where their minds are on anything but the present, but there’s a certain joy that only comes from being truly thankful for where you’re at. If you can live in the moment and experience what is going on as it happens, you will discover many joys once overlooked. Cultivating a habit of living in the present, and being thankful for it, will give you a positive outlook both towards the future and the past. -Never compare: In this season, it’s so easy to compare yourself to others, especially in the things that other people can afford. The Christmas season is coming, and for those who celebrate, you’ll see them walking around with big presents to give. Or if you celebrate Thanksgiving, you might feel the sting of jealousy as you compare your cooking to someone else’s. But true gratitude comes from finding joy in the ways others have been blessed, and giving thanks for what they’ve been given. That way you’re reorienting a heart set on comparing (and envying) to instead find joy in others. Those are just a few ways you can find gratitude every day, and there are many more ways to do it! What are some ways that you’re cultivating gratitude each day? Exercise: Easier said that done, but the endorphins released when working out or even walking are important for your mental health, and can also improve other things like digestion, clarity, and focus. If it’s hard to find time to get to the gym, try walking with a friend during your lunch break, or getting on a treadmill while listening to an audiobook. It might take some creativity, but exercise is key to a healthy and happy life. Give of your time: It sounds counterintuitive to give your time away to others, but serving the needy actually is shown as a marker of healthy people. Some ideas for high schoolers or college students would be: tutoring children, reading to children (like in a SMART program at a low income school), holding babies in the NICU (many hospitals have volunteer programs, but you may have to be 18 or older), serving food at a soup kitchen, or working with animals at a shelter. You may find that just a few hours of your time really helps you feel connected to other people and can fend off depression and anxiety. Eat healthy: Filling your body with junk not only can make you feel yucky, but it can also increase depressive or anxious thoughts. Sugar in particular can cause emotional swings. We recommend juicing as an easy way to get liquid nutrition if you’re on the go, or smoothie bowls which you can consume in the morning. If you or your guardians are unable to cook at home, or don’t have the time, you can opt for healthier choices even when eating out, such as grilled chicken instead of fried, or subbing out fruit instead of fries. Small decisions can really impact your health. Find a therapist or mentor: Did you know therapy is valuable even if you feel great? It is important to have someone you can talk to, even when things are going well. It will help keep you more stable when crisis’ hit and can help you learn valuable coping skills for obstacles in your life. If you cannot afford a therapist or counselor, and are struggling, go to your high school counselor and let them know. Often they will have resources in place, and professionals that they can refer you to. Even your high school guidance counselor can offer a listening ear. Don’t be afraid to reach out. Let things go: do you have toxic people in your life? Don’t be afraid to be straightforward with them, gently explaining that right now you need to focus on other things (schoolwork, admissions, college), and make healthy choices that are empowering. Then, once you have politely ended or declined certain people or activities, go forward in confidence and follow through. If you have parents or guardians in your life, be sure to fill them in on what’s happening, so that they can help keep you accountable and help you move forward in your life. Mental health is crucial to success in all of our lives. If you are struggling, we encourage you to reach out for help, or call the national suicide lifeline at 1-800-273-8255. Never hesitate to ask for help when you need it, or to get help for a hurting friend. I’m always scouting out fresh locations for my seniors. I never want my seniors to think they will only get the same exact spots as their friends, although of course every photographer has their favorites. When I came across Binders Gardens, I knew I had found a true gem. It is a wedding and an event venue in Needville, Texas, and filled with the most gorgeous greenery and little walking areas. I knew it was the spot for Grace, this beautiful and fun senior from Lamar Consolidated High School. She’s one of my Class of 2019 seniors, and she has a personality that has so many facets! I’m not sure I’d ever get to know everything about this lively and delightful young lady, but I enjoyed trying. She is involved in the yearbook committee at her school, and describes herself as “kind, loyal, and aware”. Grace really loves music, especially the hit songs by Pharell and Selena Gomez (who is her favorite celeb), and reading. One film that really impacted her in recent years was the war biopic Dunkirk, about which she says, “Seeing that movie showed me that the events were real, and how war effects the people involved. Also, how war can bring people who love each other together.” Besides reading and seeing movies, she also enjoys swimming and working out in her spare time. “I hope in twenty years, I will be remembered for being kind to everyone and staying positive”, she explained, “I really look up to people like my mom, because she deals with a lot, but she always makes sure that my brother and I are happy, and being the best that we can”. 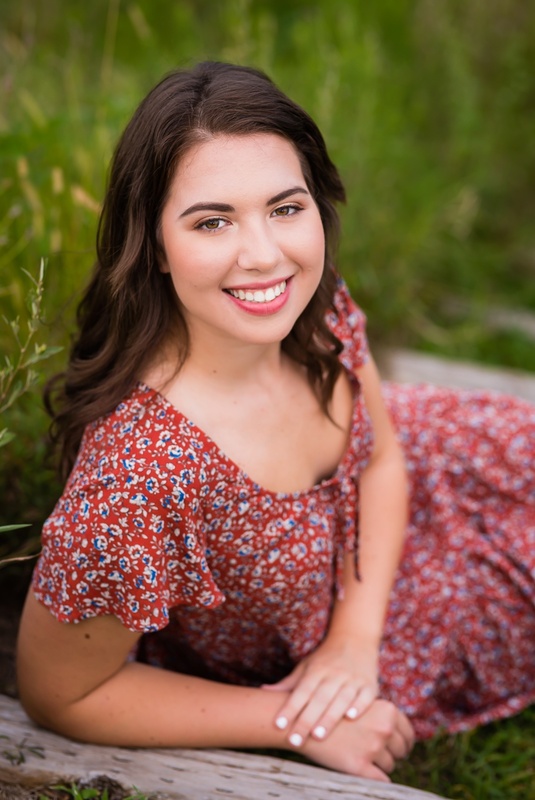 When it came time to plan and design her senior session, Grace shared that she wanted to look very natural, and I made sure her images captured her authentically. I hear pretty often that seniors really want to maintain their personal style and look, and I’m all for it. Sure, we all like to get glammed up sometimes, or maybe you want a more formal or boho look, but no one wants to look back on their senior photos and say, “I didn’t look like myself!” I think meeting Grace and doing her senior session (and getting to know what a spunky and smart gal she is), really helped me shape a shoot that shows the real her. Every outfit she brought also showed her taste in fashion and I loved seeing how her personality played into her choices. Contact us today to schedule a shoot of your own! Meet my gorgeous niece, Ashley! I’m about as proud as an aunt could be. She’s not only pretty on the outside, she’s someone I love very much and enjoy being around….a pretty special human. When I found out I was going to do her senior photos, we got to work putting together outfits that would fit the location we had secured: downtown Houston. It’s urban flair and cool architecture was just what we wanted, in order to try out tons of chic looks and different styles. Ashley is wearing a rented dress from the awesome company Rent the Runway, and we both fell in love with the tiered styling and the icicle earrings she added. Rent the Runway is a perfect choice for senior photos, because your dream dress may be a jaw-dropping formal dress like this one, that you can’t afford or won’t wear often enough to justify purchasing. Because Ashley was up for anything, we did tons of different styling and looks, and I’m sorta partial to the “Nope” shirt…it made me giggle and came out as such a fierce, editorial style! Ashley’s a grad from Tarkington High School, and is active in her local FFA chapter. She’s got big dreams of becoming an ultrasound tech, and says high school has been a learning experience of beginning to truly love herself! When she has free time, she enjoys spending time with family, like her mom who she says “is who inspires me. She never complains that being a mom and a dad is too much to handle, and she smiles even on the bad days”. Ashley says her goal is to be remembered as someone who helped others, and always followed her dreams! I think she’s well on her way. Do you follow us over on our Facebook page? If not, you're missing out on our events, special offers, behind the scenes peeks, and tips and tricks for high school seniors. We post all of these things and more, and we would love for you to join us! I don't know who had a better time during this senior session: me or this beautiful girl! Meeting Elizabeth, a gorgeous senior from Columbia High School, confirmed for me that I truly have the best job in the world. I love meeting every senior who I am lucky enough to cross paths with, but she sure had a special spark in her personality. Her friends would likely describe her as "funny, pretty, and outgoing", and I think they'd be really accurate. At Columbia, she enjoys spending time with her friends and in her spare time, she enjoys barbecuing, and spending time with her beloved dogs. One of her favorite books is "Miracles from Heaven", which solidified her faith and made her realized "how powerful God is". Elizabeth also shared with me that the person who inspires her most is her Meme, and that she hopes her classmates remember her as someone who was sweet and caring. Elizabeth likes cute and stylish clothing, and especially wearing sandals. We included some classic and elegant pieces like her navy dress into the session, and everything really looked beautiful against the backdrop of the beach. 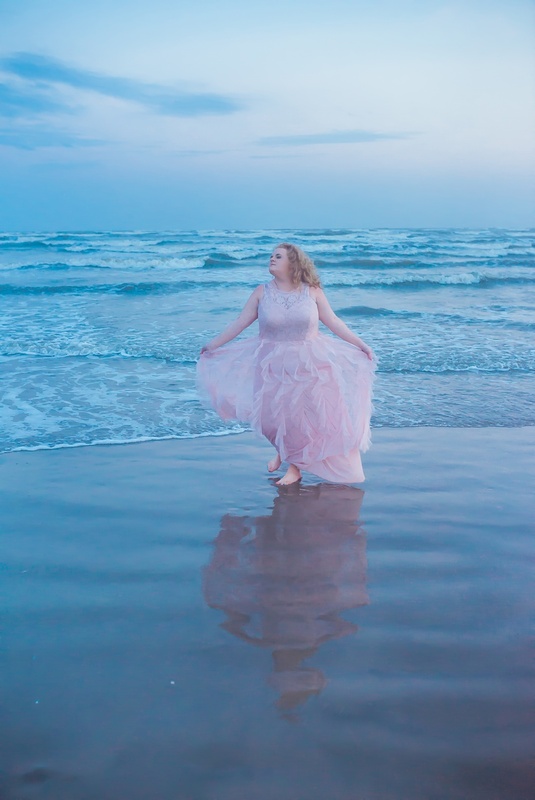 During her high school years, she endured a tragic miscarriage (shared with her permission), and that is why the angel wings below are featured. I admire her courage in sharing her story, and how she overcame such a difficult time. Although she hasn't decided what her dream job will be in the future, I know she will really achieve something wonderful. She has strength and confidence that will take her very far in life! What does it mean to be a young woman these days? It's gotten quite a lot of attention recently in the media, and it's inspired lots of women to stand up for themselves. I am so encouraged by the young women I have met as a senior photographer, because I have seen how this generation is strong and beautiful and so ready to serve their communities. I think that goes so much deeper than just being "pretty", though this senior is totally gorgeous inside and out. 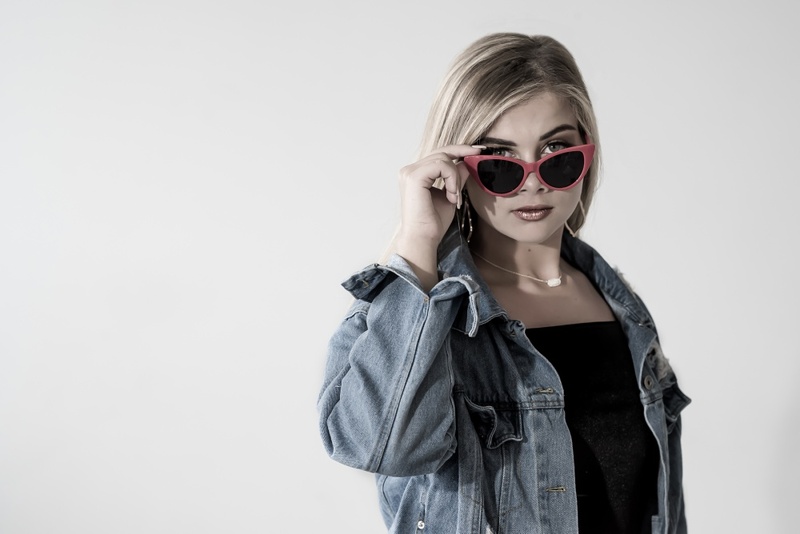 Meet Sydnie, from Bremond High School. 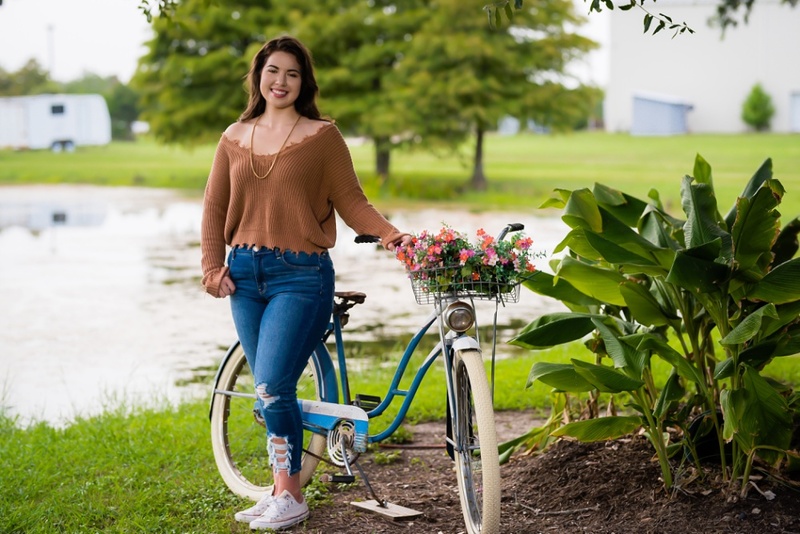 At her school, she is involved in NAHS, and FCCLA (which is the Family, career, and community leaders of America program), and she describes herself as "artistic and honest". Painting is one of her favorite hobbies, and always the way she'd choose to spend a free afternoon! Sydnie also puts her artistic skills to use as a budding photographer, and hopes to one day make a name for herself in the field. Since I found out her "favorite place on earth" is the beach, we incorporated that as her session location. Quintana Beach is one of my favorite spots to get breezy, earthy images, and Sydnie was right at home there. She brought along a beautiful, ruffled pink dress that was lots of fun to shoot, and it really brought out her creative side. 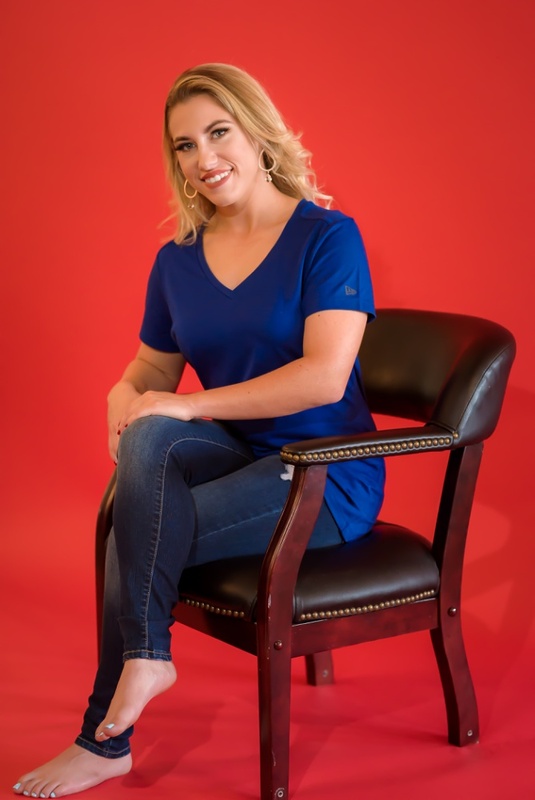 A few other fun tidbits about her: she was very inspired after reading the book Miracles from Heaven, her favorite song is Heaven by country singer Kane Brown, and her favorite colors are pink and mint green! One more fun thing about this shoot is that Sydnie is my niece, and attended school with my son, Dalton. I feel lucky to know this darling girl, and so proud of her amazing accomplishments. When a session pushes me to be creative, and come up with fresh ideas, it’s always exciting to me. So, when Tyler shared that he loves trains, the Rosenberg Railroad Museum was the perfect choice for an unique senior session. The Railroad Museum is nestled in downtown Rosenberg, and is a favorite of locals and tourists alike. There are endless things to look at, including scale models of trains, and a restored, historic railcar. It was opened sixteen years ago, but many of the models and acquisitions took many years to put together before the first visitor. I loved it, and enjoyed looking at the many exhibits as we did Tyler’s session. Tyler is part of the graduating class from Foster High School, and is part of the high school band. “Fun, creative, and adventurous” are the words he’d use to describe himself, and he dreams of one day being a train engineer. Tyler looks up to his dad, because of the way he pushes him to be his best, and hopes his classmates remember him as a great friend. He was really excited for his senior session, which made my job pretty great. He is a really kind young man, and has a very quick smile. Of course, his love of trains made him very comfortable on the museum grounds. If you are a parent of a senior (or a senior yourself), you may be wondering how to incorporate your passions and hobbies. Perhaps you love something like trains or music, and I'd love to know that when you book with me. I can scout out special locations, or think up new ways to add in your props or ideas...it's one of my favorite things to be able to customize your shoot!